December is quickly arriving, and what better way to start off your holiday season with a visit from Adriana the Elf Fairy! 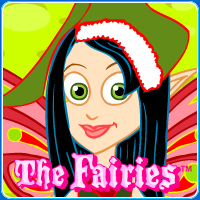 Although Adriana the Elf Fairy is very very busy (she helps out Santa Claus in his workshop at the North Pole! ), she's never too busy for fashion and funny costumes! Adriana the Elf Fairy always wears a smile as she wraps presents and gifts of toys and games for all the children who have been good this year according to Santa's list! What's on your wish list to Santa Claus this year? If you're still not sure, you should consider a visit from Adriana the Elf Fairy!